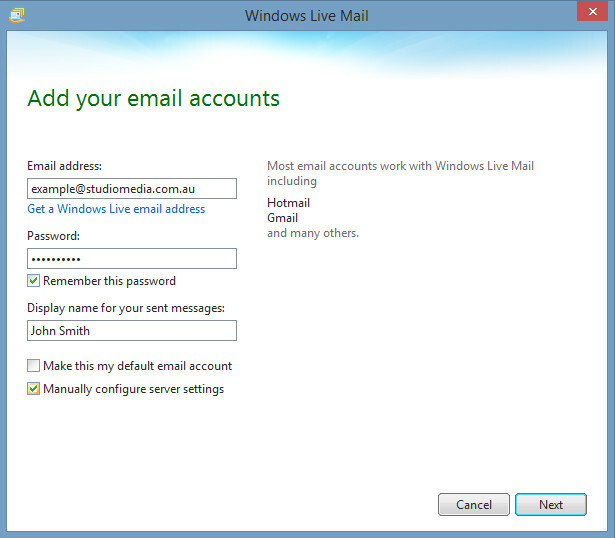 Open Windows Live Mail then up the top select the Accounts tab and choose the Email button (which has an @ and a + in the image). Next enter in your Email, Password and Display Name. Also ensure you click the checkbox "Manually Configure Server Settings". Once done, click Next. Next fill in all your email account settings as per below. Once completed, click 'Next'. 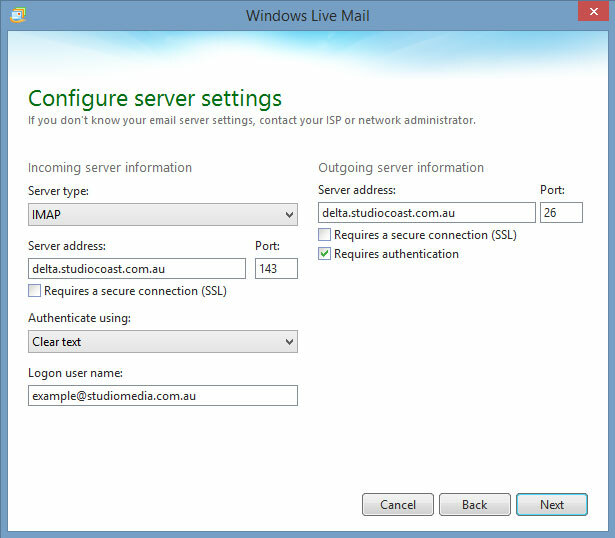 Server Type: Select POP3 or IMAP. If you are unsure which to choose, see the following Knowledge Base article link on Should I choose POP3 or IMAP?. Incoming Server Address: Your email account's incoming mail server. To find this, please refer to your Account Information by logging into hostControl. The Port number can be left as it will auto-fill the correct one for you. 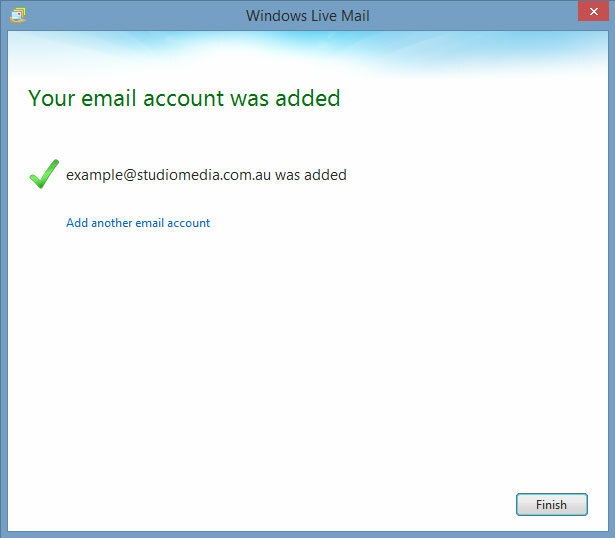 Logon user name: Your username will be the same as your full email address. Eg. yourname@domainname.com.au. Outgoing Server Address: Your outgoing mail server will be the same as your incoming mail server. If you get a green tick it means your account has been setup successfully and you can now begin using it.